REDUCED $45,000!! Best Price in Tatum Highlands! Move right in and make this YOUR dream home! Bright, open & spacious single story home features a NEW ROOF (Dec 2018) & neutral tile flooring throughout – no carpet. Large kitchen with island offers tons of counter space and storage. Walk-in pantry includes the washer/dryer. The spacious Great Room is perfect for entertaining. Create your outdoor oasis in the VERY QUIET backyard. Very low HOA fees, and a huge neighborhood park add to the highlights. Priced to allow for updating with your style and preferences. Take advantage of the low price to make this awesome home yours! Directions: From Jomax, South on 41st St, Left on Pinto Ln, Right on 41st Way, Right on Tether Trl to 3rd Home on Left. Please, send me more information on this property: MLS# 5867037 – $275,000 – 4111 E Tether Trail, Phoenix, AZ 85050. 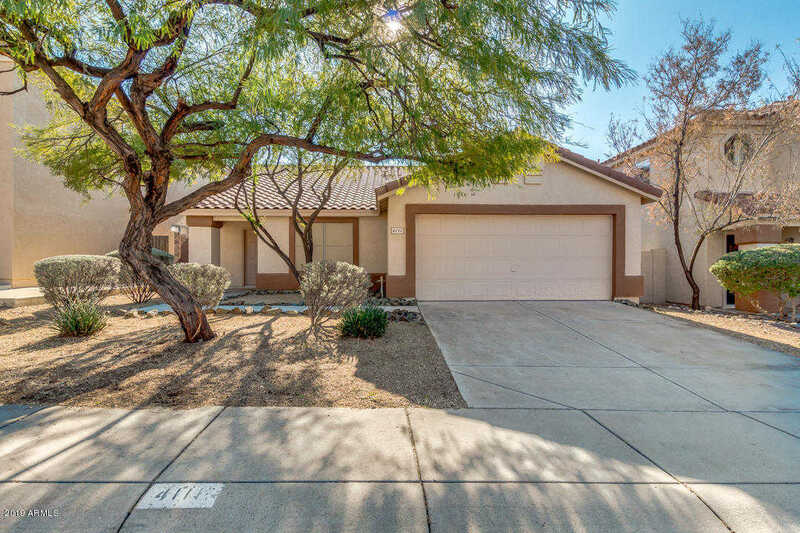 I would like to schedule a private showing for this property: MLS# 5867037 – $275,000 – 4111 E Tether Trail, Phoenix, AZ 85050.